Lindsey Graham: "Free Speech Is A Great Idea, But We're In A War"
"I wish we could find a way to hold people accountable. 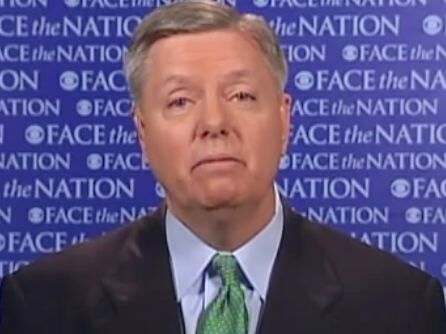 Free speech is a great idea, but we're in a war," Sen. Lindsey Graham (R-SC) said about the Koran burning in Florida. Kucinich: U.S. Involvement In Libya An "Arrogant Violation Of The Constitution"
Sen. Webb On Libya: "We Are Clearly Involved In Regime Change"
White House's Jay Carney: Do Not Call Libya A "War"
MSNBC's Ed Schultz: Rebels In Libya Are "Freedom Fighters"